Ashgabat is the capital of Turkmenistan, Central Asia, and between the 16th and the 27th September 2017, it becomes the Asian Martial Art capital with the 5th edition of Asian Indoor and Martial Arts Games (AIMAG)! 4,500 athletes are competing in 22 sports in 347 medal events and being awarded 1,675 medals. 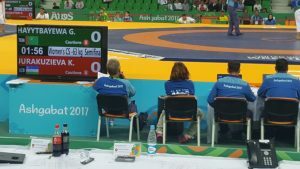 This makes Ashgabat 2017 the biggest AIMAG in history so far. 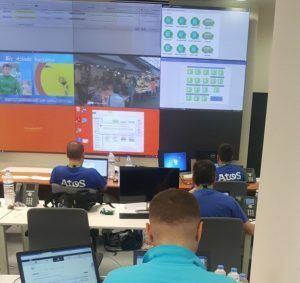 Atos provides the Timing, Scoring and Results solutions along with the Games Management System, Info Diffusion System and TV graphics, enabling all stakeholders to work together to make this year’s event a success. Atos is also the official provider of other IT services which include networking, infrastructure, and IT security through a maintenance contract with the Ashgabat Organizing committee. We wish good luck to all the participants and to the Atos on-site Team! Atos is also proud to be the Official IT partner of the Olympic Games.